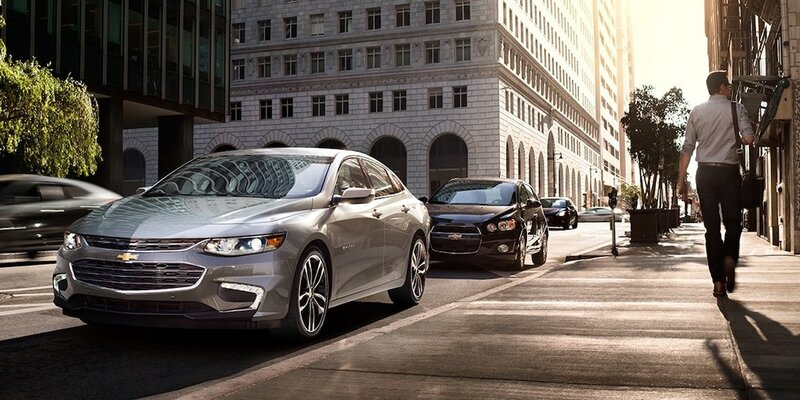 The 2017 Chevrolet Malibu trims offer something for everyone. The introductory option is affordable and well-appointed, while the upper-level trims rival some luxury sedans. If your goal is to upgrade what you drive on the streets of Augustine or Orange Park, the newest Chevrolet Malibu has a lot of appeal. Explore the trims below before checking out all of them in person at Nimnicht Chevrolet in Jacksonville. Under the hood is a sporty turbocharged 1.5L four-cylinder engine that produces 160 hp and 184 lb-ft of torque while getting 27 mpg city and 36 mpg highway. The MSRP starts at just $21,680. This trim is loaded with advanced technology like a 4G LTE Wi-Fi connection, Bluetooth connectivity, and a seven-inch touchscreen with smartphone integration. The MSRP is only $23,225. Riding in this trim is supremely comfortable thanks to features like an eight-way power driver’s seat, rear climate vents, and satellite radio with extensive audio options. The MSRP remains accessible at $25,125. This trim deserves its name thanks to upscale features like a larger touchscreen, leather upholstery, heated seats, and a Bose stereo. I also has a much stronger engine, but the MSRP is only $30,975. Drivers who prioritize fuel efficiency should consider the Hybrid version of the 2017 Chevrolet Malibu. It runs on a 1.8L four-cylinder engine paired with an electric motor that together produce 182 hp and 277 lb-ft of torque. That is a lot of pickup, but what is truly impressive about this trim is fuel-efficiency ratings of 49 mpg city and 43 mpg highway. The features mirror those found in the 1LT trim, and the MSRP is a great value at $27,875. This trim proves that you don’t have to sacrifice anything to start driving more sustainably. Which of these trims is most appealing to you? If you’re having a hard time deciding, plan a trip from Orange Park or St. Augustine to Nimnicht Chevrolet to check out the entire lineup. Our friendly staff can help you weigh your options, and our simplified financing process makes it quick and easy to seal the deal. If you have questions, please contact us at your convenience.